Para Dance is an elegant, graceful and stylish sport which involves athletes with a physical impairment that affects the lower limbs dancing in a wheelchair. Our Para Dancers are partnered with an experienced dancer. This adaptive sport is inclusive and available to all. 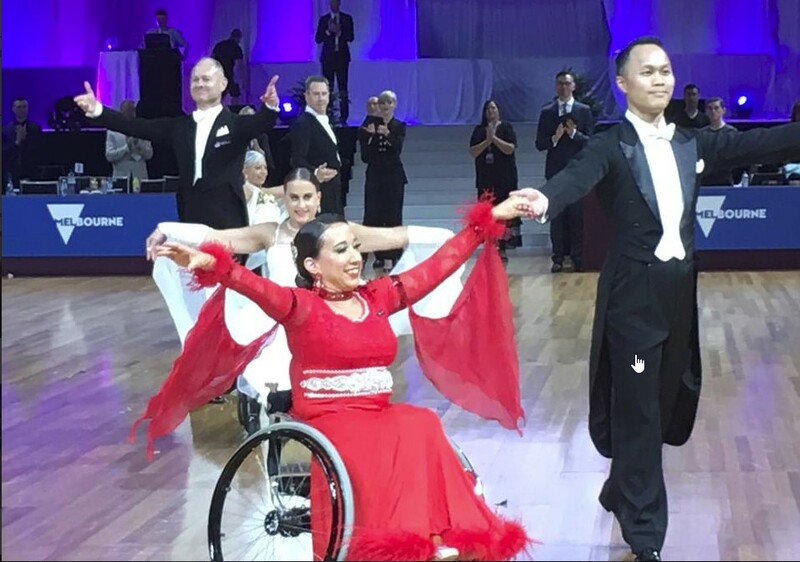 The physical benefits of Para Dance include the maintenance of physical balance, flexibility, range of motion, coordination and improved respiratory control. The psychological effects of dance are social interaction, the development of relationships, an opportunity to engage in a fun and a friendly event. Para Dance is a Paralympic Sport. Competitions are held around the world with the sport being proposed as a demonstration sport at the 2024 Paris Paralympic Games. Why not come and have a dance with us, after all dancing is for everyone!